Formula 1 championship leader Nico Rosberg has revealed his Canadian Grand Prix almost got even worse as he came close to running out of fuel. Rosberg was forced to settle for fifth place while Mercedes teammate and title rival Lewis Hamilton won, but was almost forced to retire altogether. “I was really low on fuel because of battling all the way through and always having to overtake, and it was difficult to understand how low,” said Rosberg. “I knew the number was massively red, and then I didn’t know if I would get to the end of the race. Rosberg endured a highly frustrating race that began with a first-corner incident with Hamilton that dropped him to ninth after a trip over the Turn 1 escape road. Rosberg fought his way back up to fourth and was pushing for a podium finish when he suffered a slow puncture to his right-rear tire on lap 51 of 70, relegating him to seventh after a pit stop. Over the closing stages, and after a period when he was seeing numerous warning lights on his dashboard, Rosberg battled with Red Bull’s Max Verstappen for fourth. An attempt at a pass on the penultimate lap led to Rosberg sliding into the run-off area at the final chicane, from which he was fortunate to keep the the car running before his last-lap drama with fuel. “That [the fuel] was the big problem with Max as I could only launch a couple of attacks, and every time I did he defended very well. 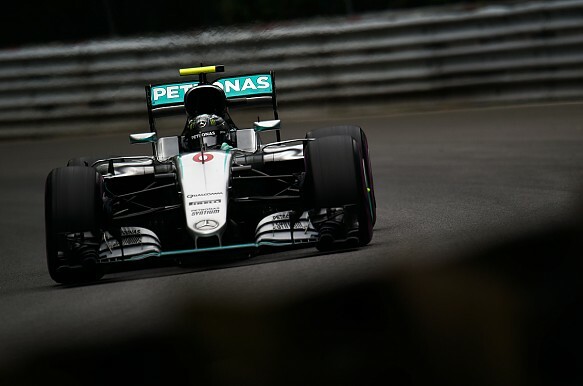 I needed to back off again to save fuel,” added Rosberg. “It was massive management, but the whole race was so complicated with a lot of things. I had brake warnings on, I got the puncture as well, which probably cost me the podium. “It was a massive mission to manage everything, and then with Verstappen, it was very much on the limit, but racing. “I didn’t manage to get past him and I tried everything. I had a massive spin in the end, but I managed to get going again, but I was on the limit with fuel.